Viruses that are transmitted via the fecalâ€“oral route and may cause liver damage are known as enteric hepatitis viruses. These viruses, which include the hepatitis A and E viruses (HAV and HEV, respectively), infect millions of individuals worldwide and pose significant threats to public health. 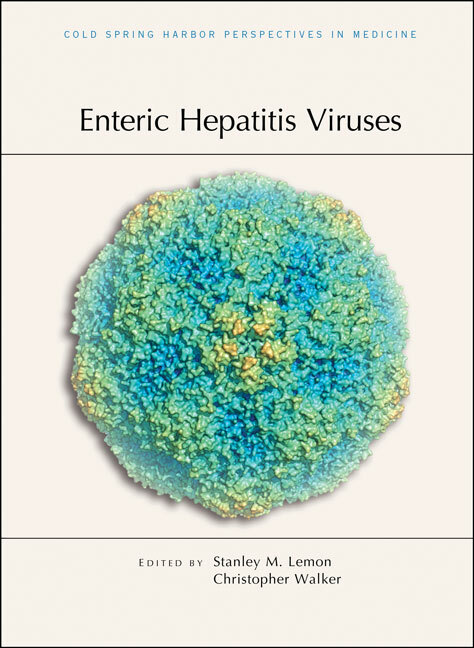 Written and edited by experts in the field, this collection from Cold Spring Harbor Perspectives in Medicine examines recent progress in our understanding of the biology and pathogenic mechanisms of HAV and HEV, as well as prospects for improving their control. Contributors explore the molecular characteristics and life cycles of HAV and HEV, their interactions with the liver and immune system, the clinical manifestations of the infections they cause, and their transmission via contaminated food and water. Additional topics include the geographic distributions of the various HAV and HEV genotypes, factors that influence their changing epidemiology, and the development of effective vaccines and vaccination strategies.